Broadway: Jersey Boys, Regional: The Producers (Hollywood Bowl), Sunday in the Park with George (Reprise! ), THE DEAD (Kennedy Center), MASS (Hollywood Bowl). General Hospital (ABC) Film: A Time of Fear, Retribution, Fear Runs Silent. Owner of The Kristofer McNeeley Studio. As with everything I do, this is for my girls, A, E & S.
Ross began acting in high school, received a BA in Theatre from Florida Atlantic University, then earned a fellowship and MFA from UCLA where his career began to develop. 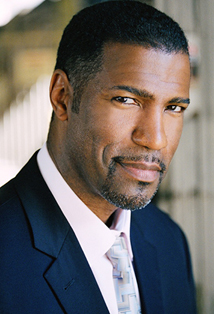 His first TV roles were a small reoccurring part on the "Young and the Restless", then a reoccurring guest star on the hit series "Hill Street Blues". He played Private Frost in "Aliens", appeared in the films "Mission Impossible", "Fierce Creatures", "Death Wish 3", "Spies Like Us", "The Dirty Dozen: The Next Mission" and the Emmy-winning "Displaced Person". During the mid-1980s - 1990s, he lived and worked in the United Kingdom, which lead to guest appearances on Doctor Who ("The Greatest Show in the Galaxy"), "The Bill", reoccurring in "Jeeves and Wooster", and he was the lead in the TV series "West Beach" and "Magic". More recently, in Hollywood Ross, has been flown to Japan to co-star in the film "Hayabusa" opposite Ken Watanabe. 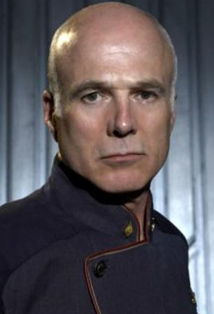 His TV roles span from guest stars on ER, Babylon 5, Beverly Hills 90210, and reoccurred on "J.A.G." and "The Practice", to name a few. Ross has just completed filming the suspense features "Squatters" and is booked to start shooting the remake of "Hidden In The Woods" in June, along side his friend and “Aliens” co-star Michael Biehn. He feels his best work is yet to come! Frank Lawson has performed across the globe in musical productions. He toured Asia in the Broadway musical RENT. Favorite credits include Hair (Berger), The Who's Tommy (Hawker) Summer of Love (Rufus) and the one-man musical "Songs From An Unmade Bed". He is honored to have shared stages with Ossie Davis, Ben Vereen, Stephen Sondheim and members of the original James Brown Orchestra in “Down Around Brown Town.” His exciting new album “GOLDIE” releases this summer. Erinn Holmes is a native of Illinois. Recent theatre: Two Rooms and Into the Woods (Crane River Theater), From the Inside, Out (NY Int’l Fringe Festival), The Guest at Central Park West (WorkShop Theater). Indie film: Walbob’s, “The Tick,” “Mental.” TV: All My Children (ABC), One Life to Live (ABC), As the World Turns (CBS), The Young and the Restless (CBS). Erinn holds an MFA in Acting from the University of Nebraska at Lincoln. Ward Roberts’ many acting credits include CBS’ hit series “Hawaii Five-O,” as well as “NCIS,” and “CSI: NY.” He made his first splash as a director with his short “The Boy Scout,” a 2002 Gene Siskel Center’s Award Finalist. That project launched him into directing full-length features, with 2006’s “Little Big Top” and 2012’s cult-hit “Dust Up,” starring Amber Benson.